Unparalleled vintage Western design. 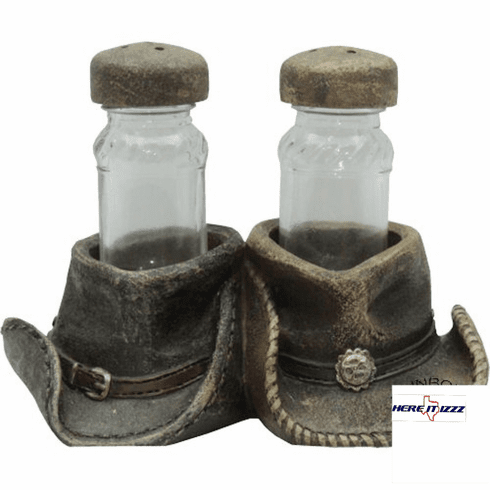 Twin cowboy hats hold your salt and pepper shakers. Each cowboy hat has a look of genuine cowhide leather. Cowboy rope trim, hat band and concho's. The salt and pepper shakers are refillable and included with the item.